as her unit "J&K". 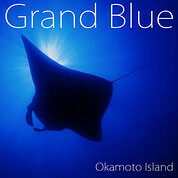 "J&K" is a guitar instrumental unit with Jun Kajiwara, who supports many well known musicians, such as the sax player Sadao Watanabe, a singer Ryoko Moriyama, Toshiki Kadomatsu. 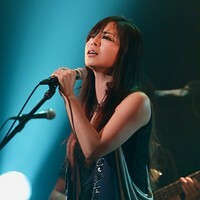 In 2013, she released J&K's first album "J&K", which entered the jazz sales charts of the Tower Records at No.2 and the jazz sales charts of HMV at No.4. In 2014, J&K performed at Japanese Culture Center in Paris and well known jazz club "New Morning" in Paris. In the same year, J&K released 2 CDs as their 2nd album. 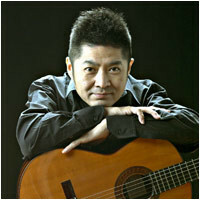 They are "TIME" which is played by electric guitars and "TIDE" which is played by acoustic guitars. They got a lot of attention from the public.In the same year of September, she performed at “TEDxKyoto 2014” as the final performer. “TED” is a conference, which is intended to spread worth ideas. People who are active in the front lines in a wide range of areas, such as Bono(U2) and Bill Gates(co-founder of Microsoft) , perform there. 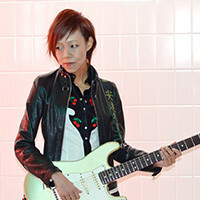 Kumi enthralled capacity crowd with her own imaginative tune and her original guitar play. 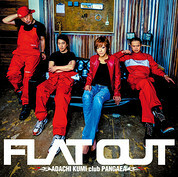 "Kumi Adachi club PANGAEA" reaches the organization tenth anniversary in 2015 and releases 4th album "FLAT OUT" which it becomes six years since the last and best album "PANGAEA" are released at 2 product same time by King record. 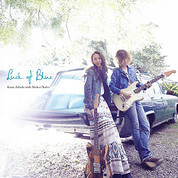 The sound that has been polished up for ten years is able to call "the second Pangaea sound",is appreciated in various areas.In December 2016, “Kumi Adachi with Shoka Okubo” that is the unit of Kumi and Syoka who shows talent as a young blues guitarist released “Luck of Blue” from KING RECORDS. They carried out a new album release tour with 13 places of whole country for from February to March in 2017. 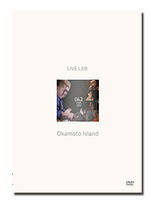 Their live performances are overwhelming and well-received. Sakurako Takashima started amateur activities in a women dual unit in high school.After graduating from junior college, resuming music activities as a solo singer. 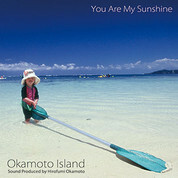 In 2006, she released mini album "First". Actus Corporation has adopted "Ai no Uta" and "FreeWorld" for TVCM. In 2008 she released 3rd album "Gypsy". In 2011, participate in East Japan great earthquake support activities, and cooperate with CM sponsor Actus Co., Ltd. to perform charity live in various places. In 2013, she sang a new song "The day we can fly the sky"at Nagoya Sakae Oasis 21. From 2014 to the present, she performing many events such as events and LIVE houses, CM, CF model of the company etc. In March, 2018, she received acclaim from the audience on the Korean Seoul LIVE tour. In August 2018, she started a new project "The Wonder Ladies" with Kumi Adachi. Copyright © RAG I.M Co., Ltd. All Rights Reserved.